At B and B Surveying, we have been in business since 1992 and have been based in downtown Houston for the majority of that time. We service Harris County and most of the surrounding Texas counties. We have won the Angie's List Super Service Award for 2012. This is our second year in a row to win this award. My name is Deward "Karl" Bowles and I am the owner of B&B Surveying Company. I am an independent Professional Land Surveyor. I hold a certification as a Registered Professional Land Surveyor in the State of Texas. I obtained my first License as a Professional Land Surveyor in New Jersey in 1991. I am a native Texan and began working in the field of Land Surveying in 1978. 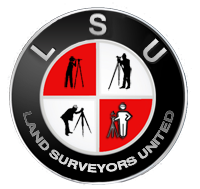 I have given seminars to lawyers, real estate professionals and other Land Surveyors on Land Surveying principles, practice and codified standards. I have written articles concerning topics ranging from professional ethics to analysis of court cases that have been published in the local Texas Society of Professional Surveyors chapter newsletter. I have been an expert witness in a number of legal actions centering around boundary disputes and Land Surveyor negligence claims. I have given expert witness testimony regarding boundary resolution, minimum standards and minimum content regarding Land Surveys. I am a member of the Texas Society of Professional Surveyors and have been for more than 20 years. I am a member of the National Society of Professional Surveyors. I am the Second Vice President of the Gulf Coast Chapter of the Texas Society of Professional Surveyors. I am a former member of the American Congress on Surveying and Mapping. I am a former member of the New Jersey Society of Professional Surveyors. "Do you know your boundaries?" Call us and find out. You can also simply contact us here.